Simple ingredients can make a wonderful, tasty brunch after a fun evening out with the girls. Brown bread (bread of choice). 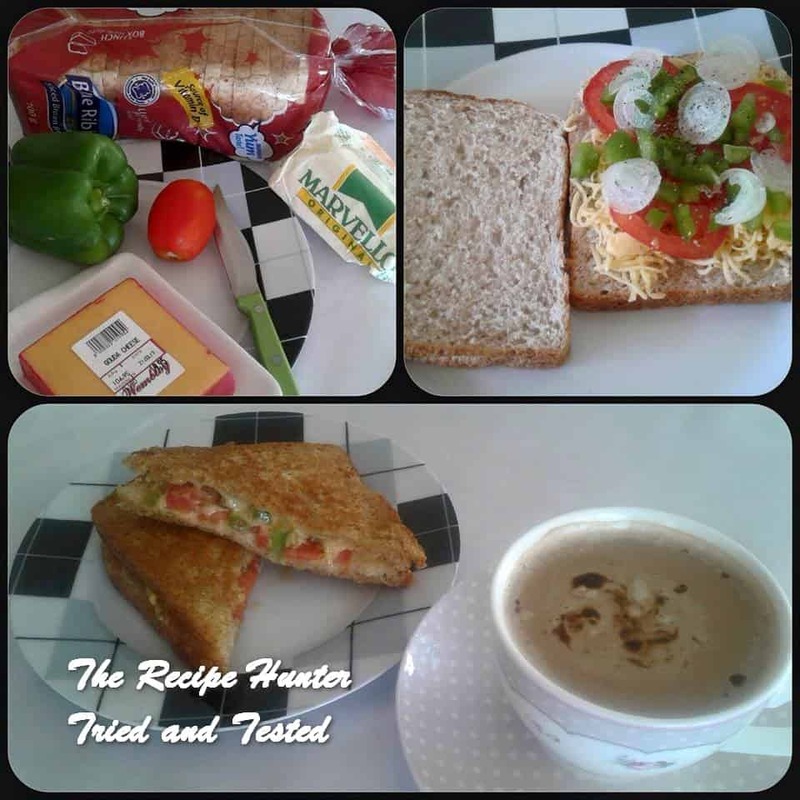 Bread, cheese, tomato, greenpepper,onion, salt and pepper and top with cheese. Heat a pan and add butter. Allow to heat up well, add the bread, allow to brown before turning. Same process for the other side. Serve warm. With tea or coffee. LOL thank you! <3 All the best to you!